Saturday April 21th. 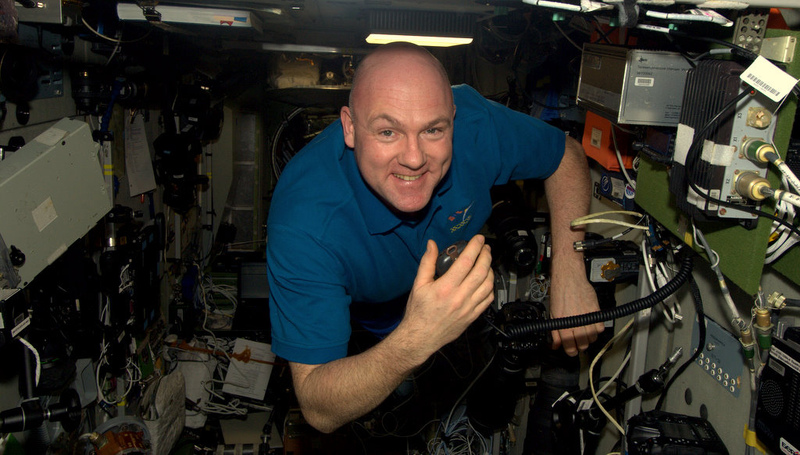 at about 20:00 UTC I had a brief radio contact with Andre Kuipers who is an Astronaute on the I(nternational) S(pace) S(tation). 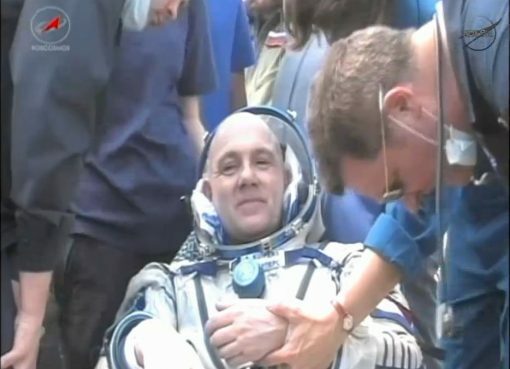 I had planned this QSO since his spaceflight was announced. I had tried to make contact before without any result till now. Was it luck? No. 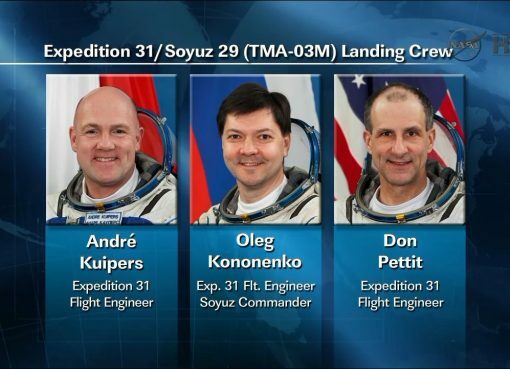 The same day I had a conversation with Cor (PD0RKC) and he told me about the presleep period of every Astronaute. Presleep is just another word for free time before going to sleep. So… I just called him Saturday the 21th. of April on 20:00 UTC and I had seen that Andre’s Presleep period was scheduled from 19:30 – 21:30 UTC. At that time the ISS was travelling above the Netherlands. I contacted him with my Icom IC-910H and my X-Yagi on 3 meters height directed by my Azimuth-Elevated rotor of AlphaSpid. I had to direct the antenna by hand and there was no doppler correction, because I still did not know my Icom IC-910H well enough to do so in satellite mode. That’s the reason that Andre did not hear me well at the beginning of the QSO. My signal was 2kHz. off base, because of the doppler correction which I did not use. Just after 4 calls Andre came back from me and I was baffled for a moment. So I had to search for my words at first. The second picture has been taken from a video made by Andre for the Dutch Television. It displays the amateur radio transciever used for ISS to Earth contacts. Anyway here is the QSO. Below you can listen to some audio recordings of the QSO.